As I mentioned yesterday, I'm working a book chapter on PCM visualization methods. 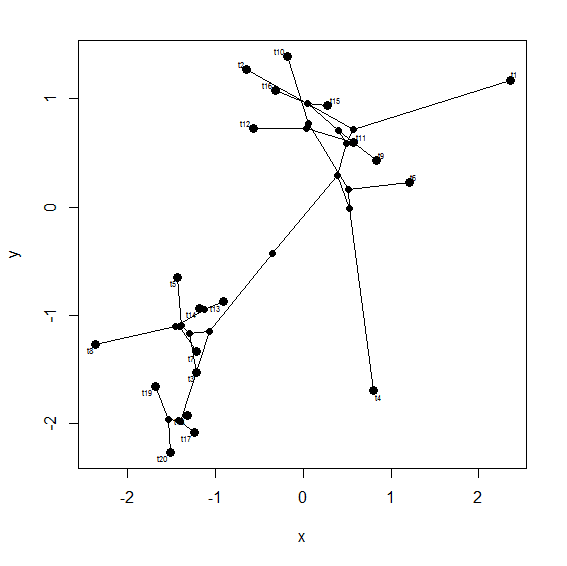 A very small section of that chapter gives an introduction to programming such methods in R. To that end I described a simplified tree plotting function. Here is code for a simplified phylomorphospace plotting function. It needs phytools (and dependencies) and calibrate.